North Richland Hills is a buoyant city. Introducing WS365. Committed to Drowning Prevention. Introducing WS365. That's "Water Safety 365". It's our commitment to help keep the people of North Richland Hills safe in and around water, 365 days a year. Recently, we learned in the hardest way possible that drowning is the leading cause of unintentional death for kids ages 1 - 4. Worse yet, it's the 5th leading cause overall in children of all ages. Recently, in our city, a four year old boy lost his life in a tragic drowning accident in his own backyard. It happened just. like. that...quickly and silently, before his mom had time to know. Drowning is something that always seems to happen to "someone else". We now realize we are "someone else". It's time to educate, empower and inform. It's time to take a stand against drowning. It's time for us to say "NOT ONE MORE". We encourage you to spend a few minutes learning how to stay safe in and around water, all year long. The mission of the WS365 initiative is to educate and empower the community in water safety to lessen the loss of life through drowning. Our goal is Not One More. It is our hope is that other communities and cities across the country will join us in our efforts to become a buoyant city. ACTIVE ADULT SUPERVISION of your kids while they are in or around the water. Make sure you're there with them. Teach your kids to never go around the water without a grownup. Do You Swim in a Pool? Do you go to the lake? Do you have a bathtub? 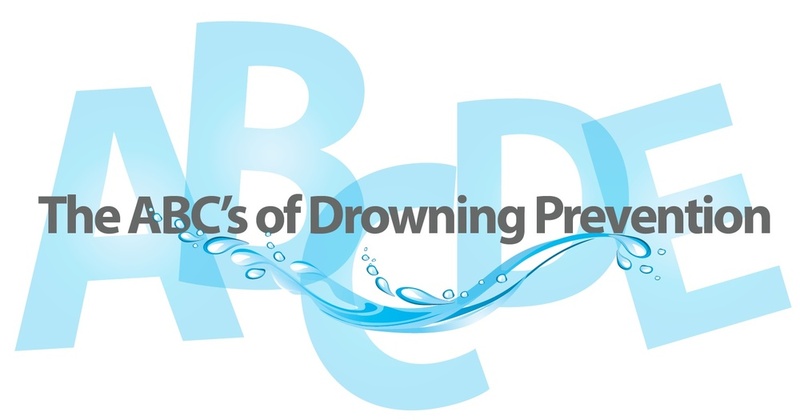 Drowning prevention begins with 5 simple steps that are as easy as ABC ... and D and E! Active Adult Supervision. Kids should never be alone around water. You've taught your kids to never go near the water without a grownup. Distractions can wait...a child who has slipped under the water can't. Practice PREVENTION THROUGH ATTENTION each and every time kids are in or around water. Nothing is more important or more effective in drowning prevention than active adult supervision. Walk the perimeter of the pool and scan across the entire length of the water the whole time your kids are swimming. Texts, doorbells and other distractions can wait until everybody is safely out of the water. Barriers to Prevent Access. Gates and fences prevent access to water. To be effective, perimeter fences (fencing that goes around your home or yard) must be non-climbable, four-sided and a minimum of 60 inches high. Interior fences (fencing that goes around the pool) must separate the pool or spa from the residence, with openings no more than 4 inches wide, so children can't squeeze through the spaces. Interior fencing must be non-climbable and a minimum of 48 inches high, although 60 inches is recommended. Use self-closing, self-latching fence gates. Mount latches above the reach of small children and ensure gates open away from the pool. Keep gates closed and never prop them open. CPR and Swim Lessons. Even good swimmers can benefit from swim lessons. Even very young children can learn how to float and paddle to safety. Everyone in the family should be able to swim. Each year, enroll children in age-appropriate swim lessons taught by a qualified instructor. Never consider kids or teens "drown-proof" or "water-safe" despite their age, swimming skills, previous lessons or water experience. Don't swim alone, regardless of your swimming ability. Anyone of any age can drown at any time. Parents, grandparents and caregivers should know CPR rescue techniques and to call 9-1-1. Keep your CPR skills current. CPR (Cardio Pulmonary Resuscitation) prevents brain damage by maintaining a person's breathing and heartbeat until medical assistance arrives. Devices. Use life vests and keep pool noodles nearby. Life jackets, pool sensors, rescue tools and safety drain covers are vital defenses against drowning. Never go in the water to rescue a drowning person. A swim noodle or towel can be used as a rescue device, but a ring buoy works best. At poolside, mount a ring buoy, pool noodles, shepherd's hook and CPR instructions. Make sure rescue equipment is accessible and in good working condition. Install and use a toy box that is located away from the pool. Toys in and around the pool entice children to the area. Don't use a floating chlorine dispenser that looks like a toy. Insist that all non- swimmers wear a life vest in or near a pool. Only use US Coast Guard approved life vests. Floaties, flotation devices and inflatable toys are not designed to be used as life jackets nor substitute for active adult supervision. Every Day. Practice Prevention through Attention 365 days a year. North Richland Hills is a Buoyant City. That means we are committed to helping you and your family stay safe in the water. Whether you are in the pool, spa, bathtub, ocean, lake or pond, knowing water safety can save the life of someone in your family. Teach kids to never go near the water without a grownup. Latch those gates. Wear that life vest. Watch those kids. Every. Single. Day. That's Water Safety 365. If you want to join our mission of water safety and help prevent drowning, we want to help you. Please feel free to use the Resources below. our community and help prevent drowning? 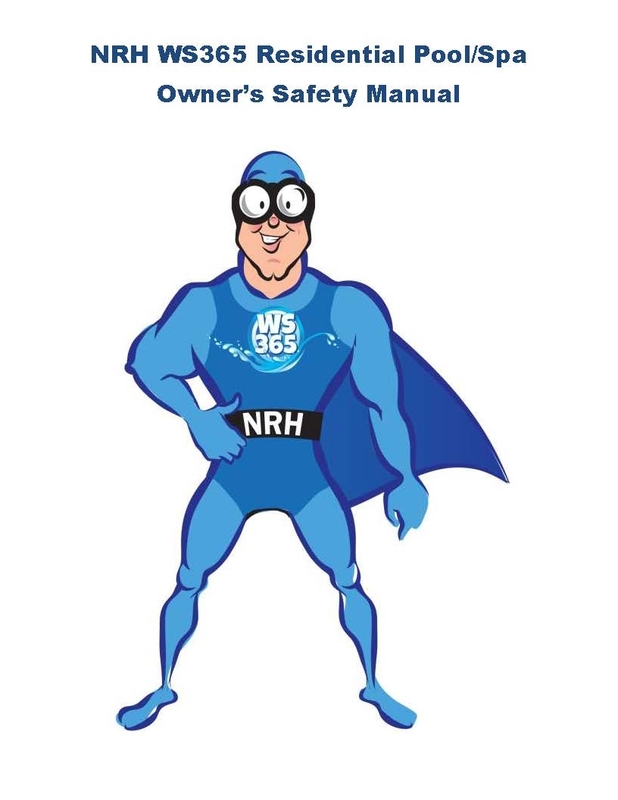 There are lots of ways to support, and every bit will go toward educating and empowering people in water safety. Here's a look at some of the awesome companies that currently support WS365. 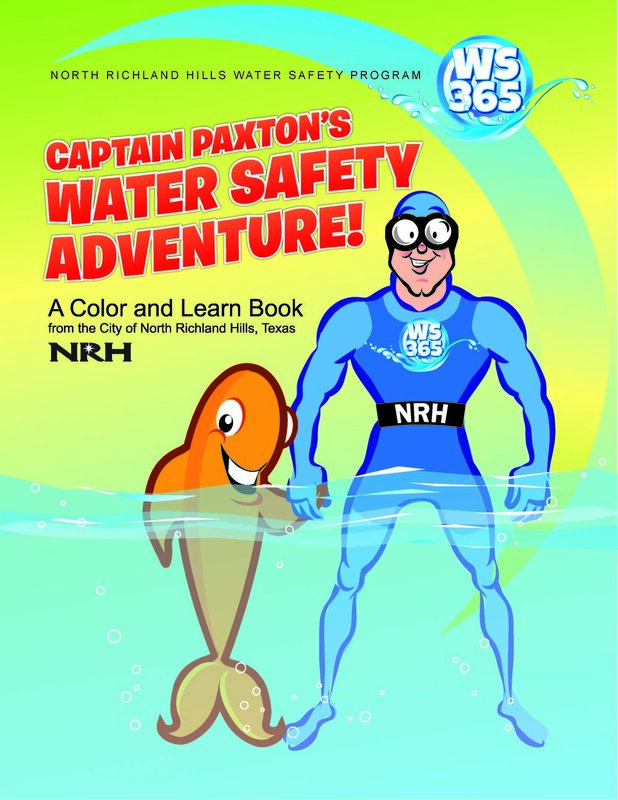 Join the effort to prevent drowning in NRH! There are lots of ways you can become involved helping us further the mission of water safety and drowning prevention. 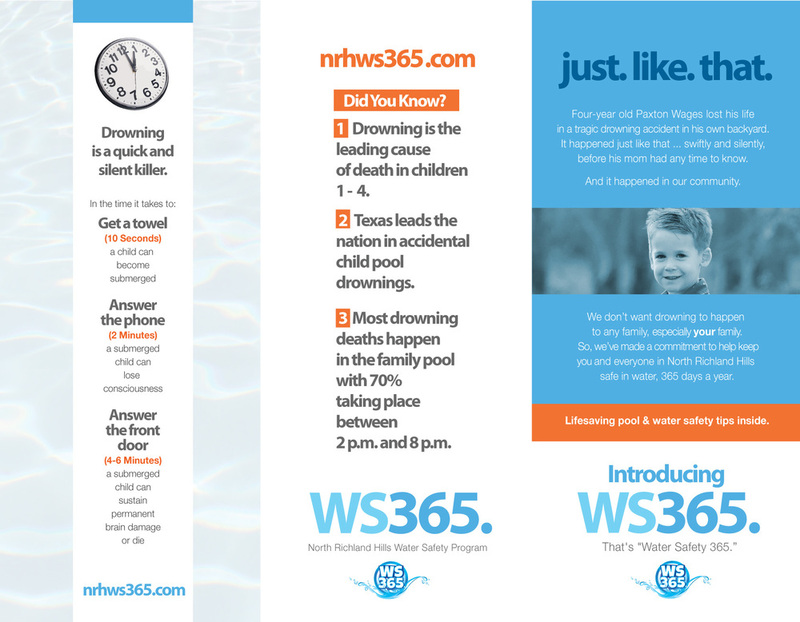 Send us an email at nrhws365@nrhtx.com and give us an idea of what interests you. Thanks again. We appreciate you!